Initially known as England Brothers House, the original three storey, five bay, Billens Building was constructed for the estate of A J White, in 1906. It was best known for housing Billens Camping Store which traded there until the 1990’s. Designed by Robert England Junior in the Edwardian Baroque style it was constructed of Heathcote terracotta brick, with Oamaru Limestone embellishment and Normano-Celtic sculptural elements. The first floor featured a cantilevered oriel window and a scrolled dormer pediment at the parapet. KPI Rothschild Property Group purchased the run-down building in 2003. Once restored it housed their head office, boutique retailers and the popular Globe Cafe. Badly damaged in the big quakes of 2011 it was sold to the Christchurch Heritage Trust and sadly, arson saw the building burnt down on 7 December 2012 before its remaining facade could be restored. Shaun Stockman of the Stockman Group purchased the site in 2017, with the rebuild being completed March 2018. 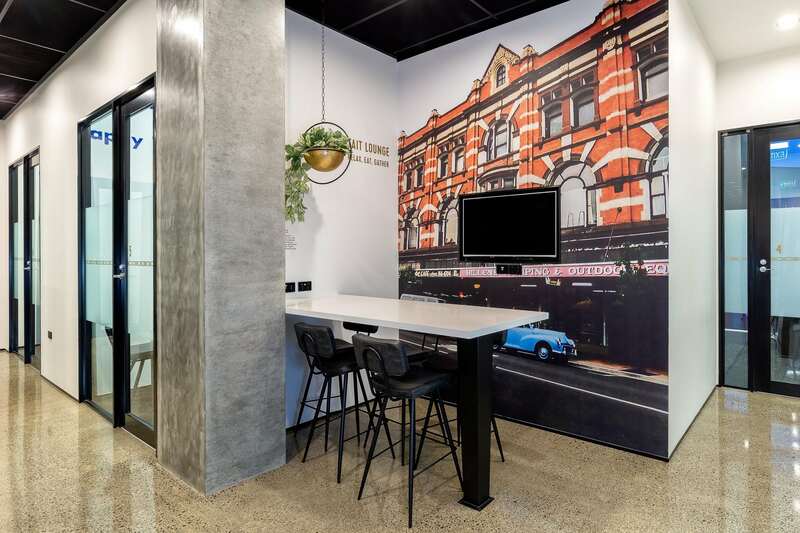 The replacement building was designed by Andrew Evans of AE Architects to reflect the original by keeping the five bays, deep windows with random proportions and replica brick facade. 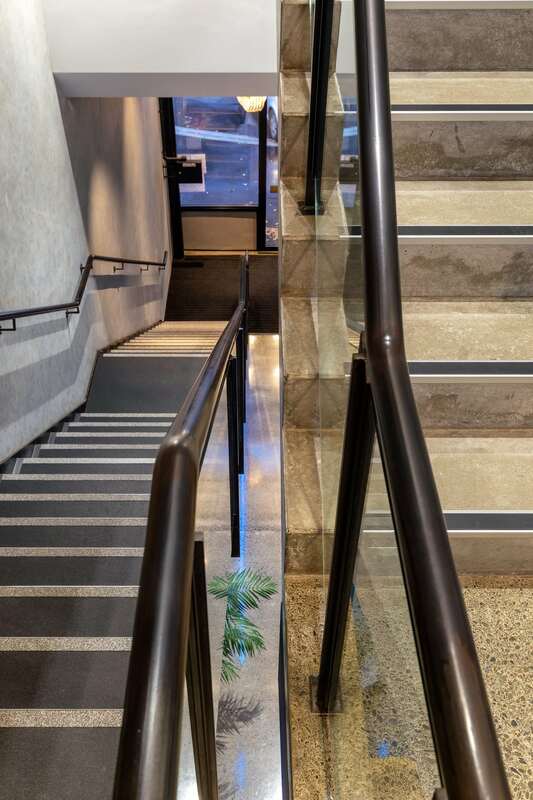 Following the tradition of Above Your Space Bonnington, certain areas in the Billens building have been named after either owners or tenants of the past, being a recognition of the history surrounding the replacement Billens building. Under the relevant categories we have supplied some information of those owners or tenants of the past. 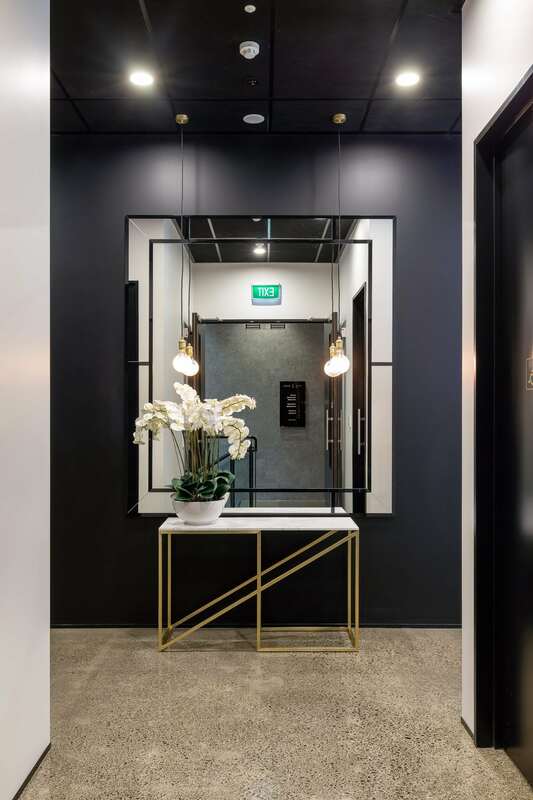 Above Your Space Billens offers a range of spacious, modern offices, stylishly fitted out with designer furniture that includes, tambours with plants, large motorised adjustable height desks, the latest office chairs, as well as seating for visitors and clients. 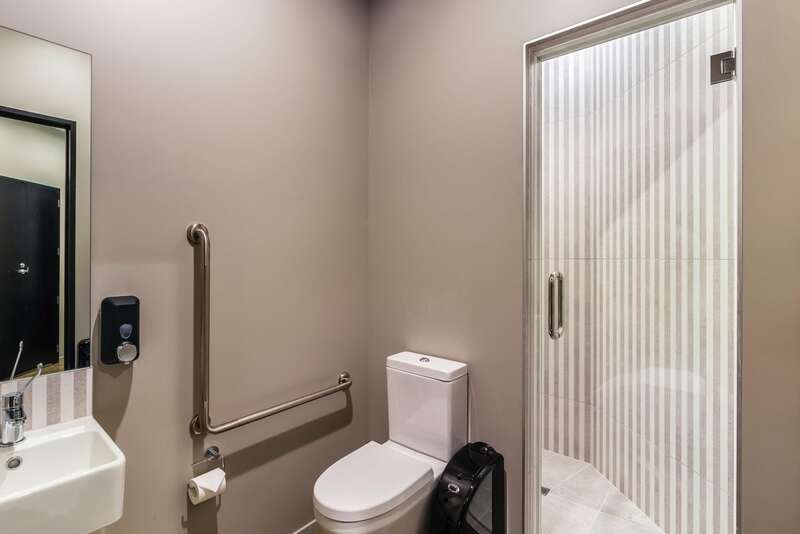 Tenants have access to kitchen, break out nooks, shared conferences & meeting rooms, bathroom and shower facilities. 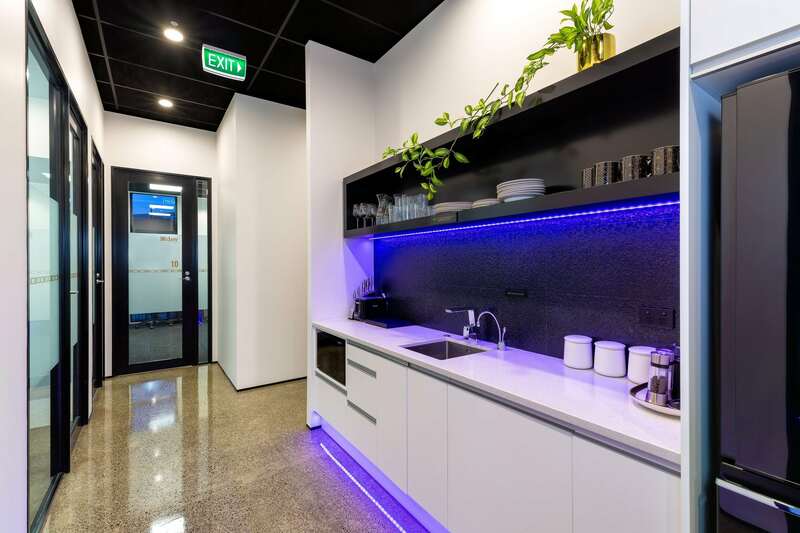 All offices come equipped with heat pumps and access to the latest Fibre Broadband which is provided by the Landlord $60 + gst per month plus a connection fee. Offices range in size and are suitable for one to five people. 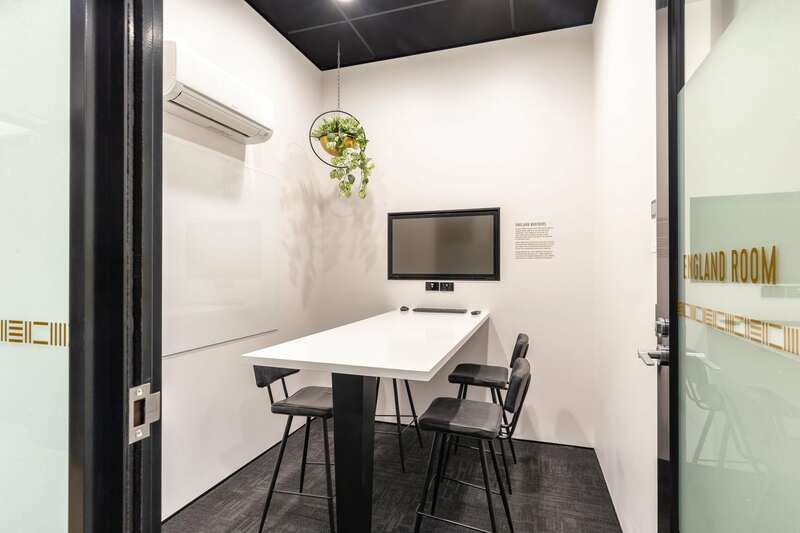 The leases range from $225.00 – $480.00 per week (plus GST) including power for the office space. 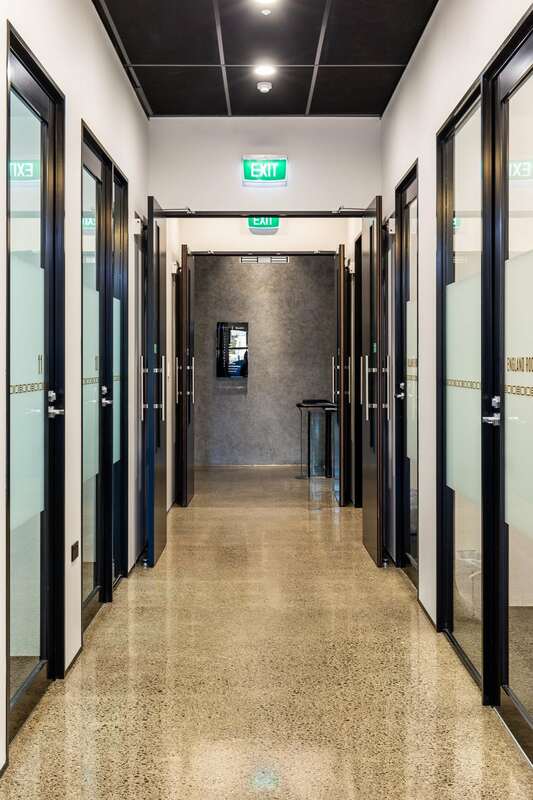 To secure your unique office space or for any enquiries please contact us today. 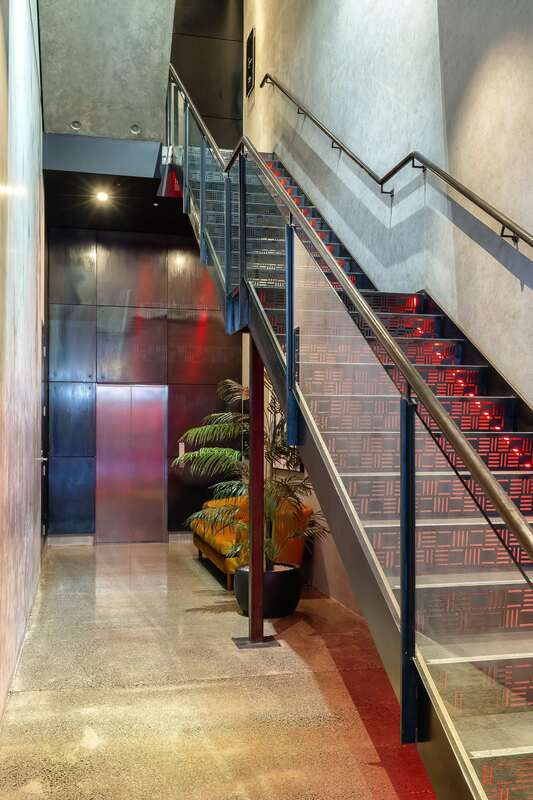 Above Your Space Billens offers the perfect breakout nook on each floor. Designed for that well-earned lunchtime break, they have a smart TV, along with comfortable bar stools. The following areas have been recognised as lounges in this particular instance and are named after two previous tenants. 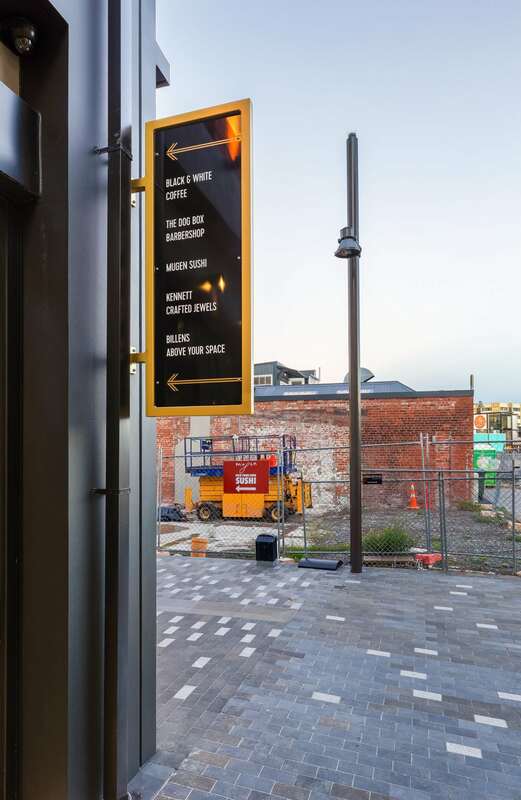 Globe Café – originally located on the ground floor at 171 High St, it was a very popular café with an excellent menu before being damaged in the 2011 Christchurch earthquake, along with many other cafes in the area at the time. Tait Electronics – the most renowned of the Billens building’s occupants was Angus Tait (1919-2007). With a staff of 12, Tait Electronics occupied the top floor from 1969. Here Sir Angus and his team designed and developed the world’s first FM mobile radio telephone. In less than four decades the company became a world leader, with exports to 160 countries in 2008. Spoilt for choice there are three rooms to choose from that will meet your every need, whether it is a small one on one meeting or for a large group. 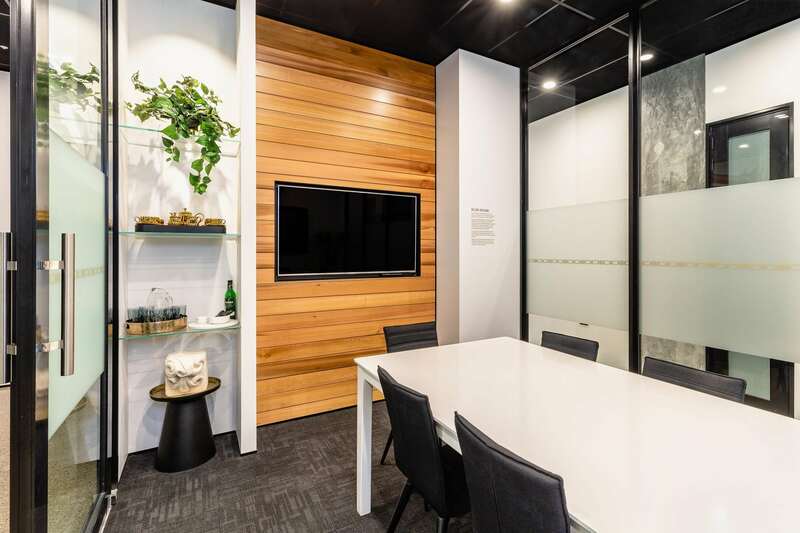 Stockman Conference Room offers seating for up to 10 people and comes equipped with the latest Sharp Interactive 65” Touchscreen LCD monitor as well as the latest video conference calling technology. With access to the kitchen on the other side of the wall, it is perfect for hosting powerful presentations. England Meeting Room and the Hollander Meeting Room offers seating for up to 4 people and comes equipped with the latest Sharp Interactive 40” Touchscreen LCD monitor. Features of the Sharp Interactive Touchscreens include: SHARP Pen Software, Touchscreen LCD Monitor with Intuitive touchscreen operation whether with a finger or pen, landscape and portrait orientations for the 40” monitors, import data to display, write on it freely by hand and save your handwritten notes digitally for later reuse. Other features include 10-point multi-touch functionality and interface terminals such as HDMI, DisplayPort, PC analogue and Mini stereo jack. 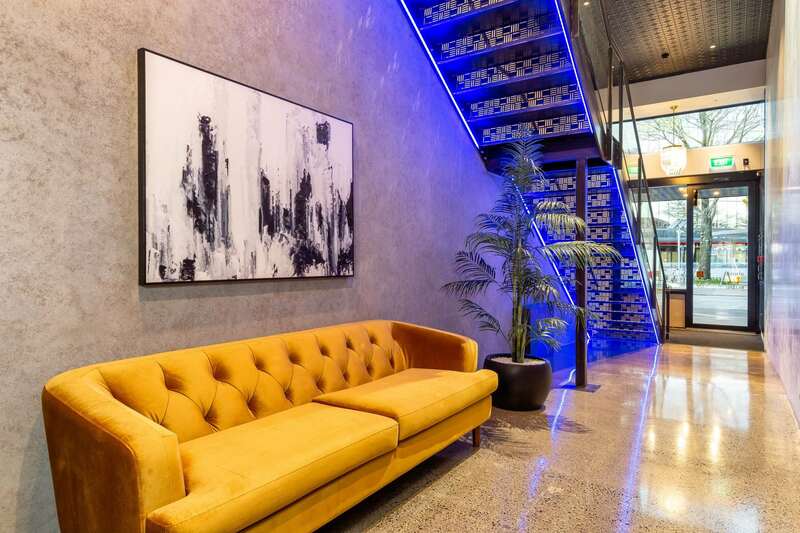 As with the Lounges, the following areas have been recognised as boardrooms in this particular instance and are named once again after previous owners or tenants. Architect Robert England who went into practice with his younger brother Edward in 1906 designed the Billens building which was originally named England Brothers House. 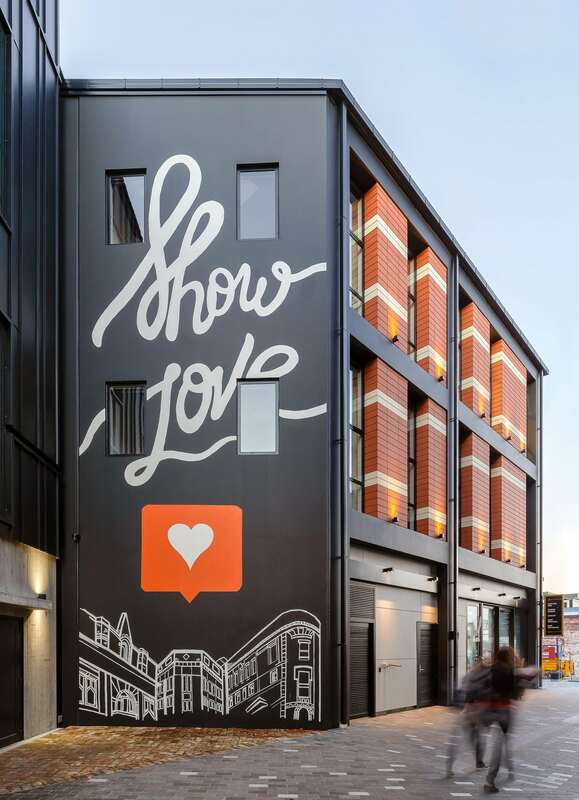 The short-lived partnership’s only commercial design was the three-storey England Brothers House, sited at 169-177 High Street. Robert Junior died of influenza in 1908, aged 45, before the architectural partnership had completed a second year. Robert acquired wide renowned recognition with his designs for Riccarton house and McLean’s Mansion. Edward England (1874-1949) continued to practice as an architect and designed the A. J. White Building of 1906-1910, next to England Brothers House, and a number of houses in the suburbs of Merivale and Fendalton. As a previous tenant at England Brothers House, Hollander & Sons was a centre for the fashion industry for a century. The upper floors originally housed the sewing rooms of the clothing manufactory of Hollander & Sons. By 1953 the Hollander’s had sold to Deane’s Apparel, the well-known manufacturer of industrial clothing. 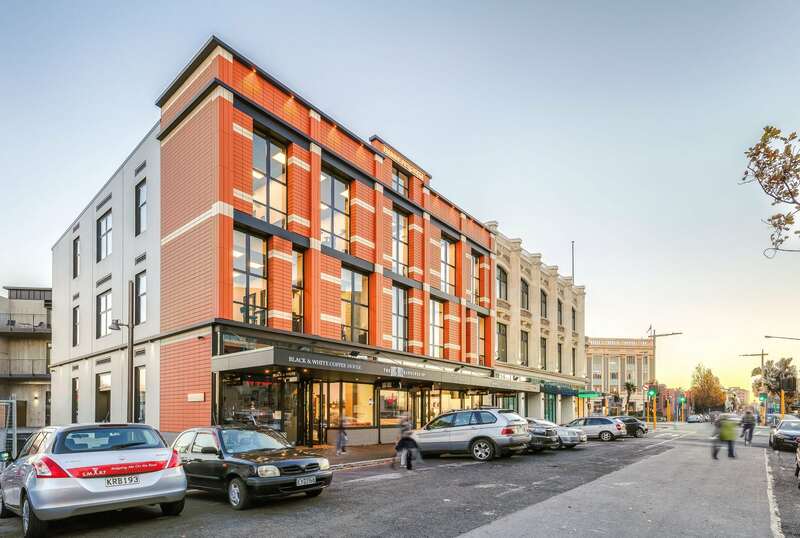 Current owner Shaun Stockman of Stockman Group purchased the destroyed Billens building from the Christchurch Heritage Trust whom had purchased it from KPI Rothschild Property Group after it was badly damaged in the big quakes of 2011. It was sold to the Christchurch Heritage Trust in hope that its remaining facade could be restored. Sadly, on 7 December 2012, an arsonist’s attack caused it to collapse, destroying what was left of the building. Shaun has a special interest in heritage buildings and is drawn to the detail that went into the old facades of the time. He has had Andrew Evans of AE Architects reflect the original as much as possible by keeping the five bays, deep windows with random proportions and replica brick facade. 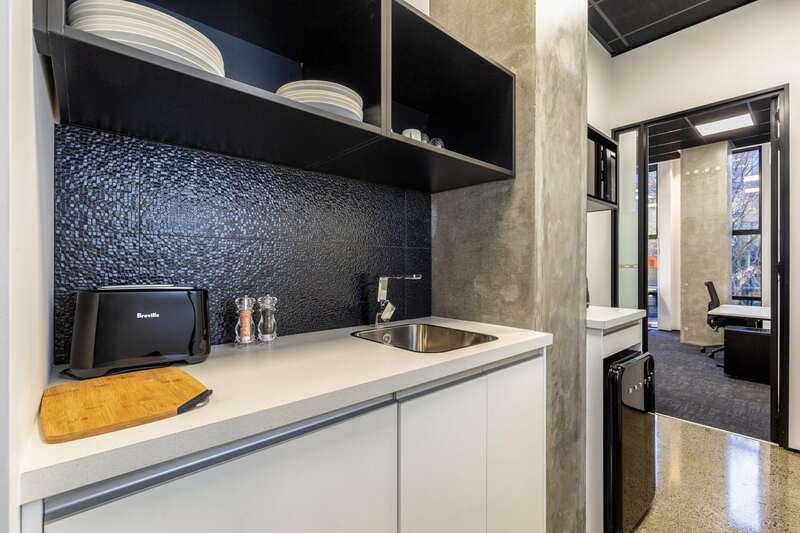 Conveniently located on each floor of Above Your Space Billens is a fully equipped kitchen space, complete with instant boiling water, a full range of china and cutlery, a microwave and a full-sized dish washer and fridge. 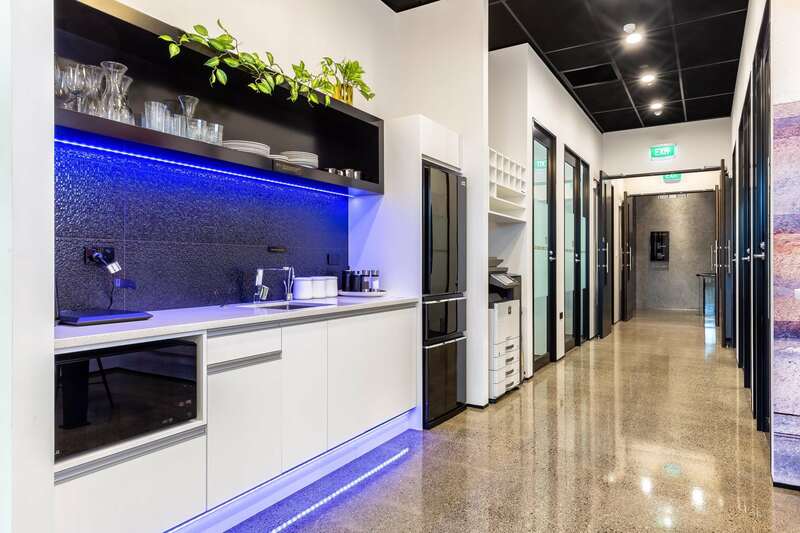 Some of the larger offices also come with their own kitchenettes.